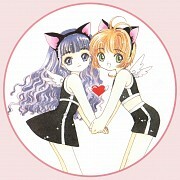 Cardcaptor Sakura: Title Page in Nakayoshi 2000 Apr. Minitokyo »	Cardcaptor Sakura Scans » Cardcaptor Sakura: Title Page in Nakayoshi 2000 Apr. Yes! Another pic never found in high quality of complete is found with both of these! THANKS a LOT for this scan! It looks complete and the quality is great! This pic is great, I've always liked it! Especially since if pictures them after the end of the manga, going together to school! KAWAII! Now this couple is more perfect. So so so beautiful, especially the color. thanks for sharing. This is fabulous. And such a lovely version (even with the line). Thank you so much! I love this anime! It is very nice! And their story was very sweet! Thanks for sharing! The sakura flowers are so delicate! very nice! and beautiful! I like pretty much the cherry blossoms! 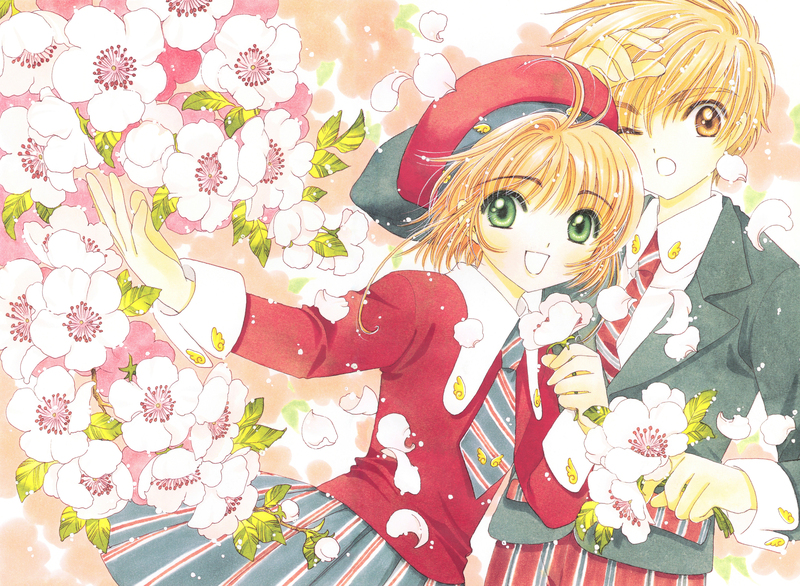 I love Shaoran and Sakura. I really like Card Captor Sakura and it was my first Clamp's book.